The Recreational Group boasts longstanding experience and many successful playgrounds and sports surfacing installations for grade schools. We utilize our design and installation knowledge and integrate the recognized products of XGrass, Mulch Outfitters, VersaCourt, Play It Surfacing and Play On Courts to provide safe recreational surfaces for your students. 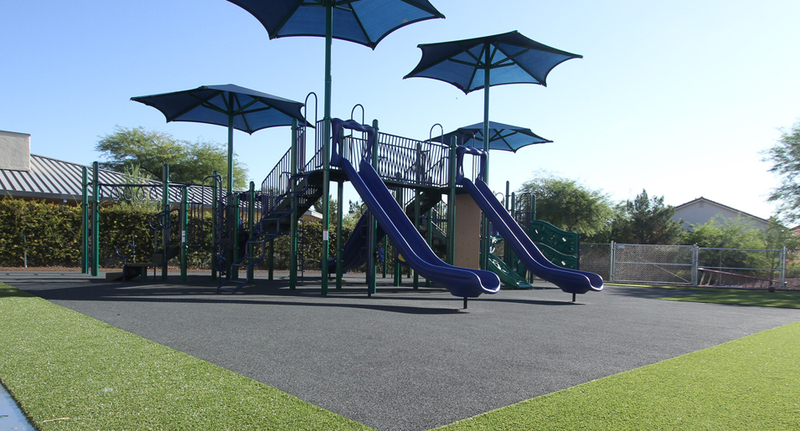 XGrass playground turf systems are fully certified by the International Play Equipment Manufacturer’s Association (IPEMA) and are equipped with SofPad underlayment to prevent serious injury during play. 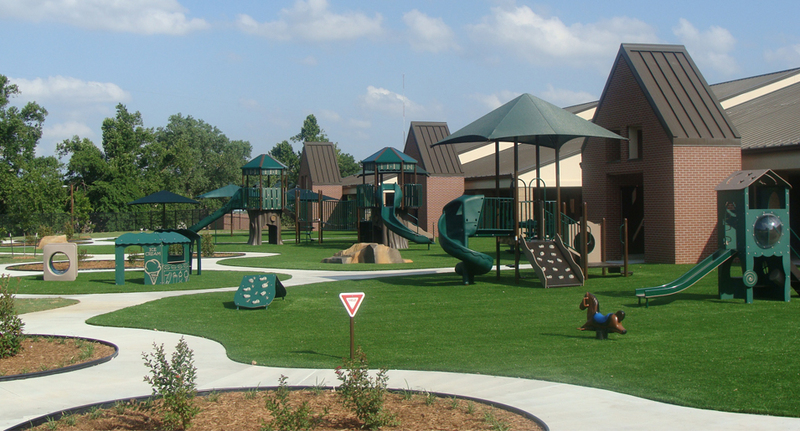 Our playground turf system meets requirements for up to a 12 foot fall. 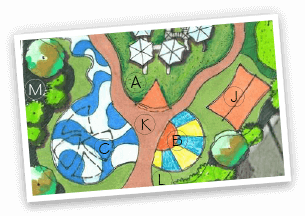 Mulch Outfitters supplies and installs premium Engineered Wood Fiber (EWF) playground surfacing developed from reclaimed wood. 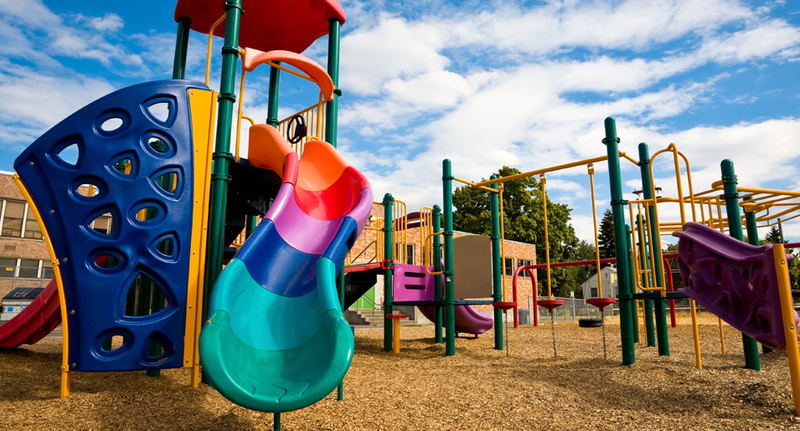 EWF playground mulch meets or exceeds the playground surface safety requirements set by the CPSC, ASTM and IPEMA. Play It Surfacing playground rubber surfaces can be customized and integrated to fit your space and fulfill your activity requirements. Our surfaces are incredibly durable, require little maintenance, and are IPEMA certified and ADA compliant. VersaCourt helps your budding student-athletes to play safely with its innovative, multi-sport game courts. The fast-draining, open-grid design provides a low-maintenance surfacing that is a comfortable and safe alternative to concrete and asphalt surfaces. The colorful tile systems can be outfitted with accessories and lines for a number of sports and games for your students to enjoy. Play On Courts is one of the leading sports facility outfitters in the recreational industry. With our wide-ranging experience and our collaboration with Aacer Sports, one of the top gymnasium surfacing installer, we offer a wide range of options from high-quality, beautiful wood courts to multi-purpose wood flooring. 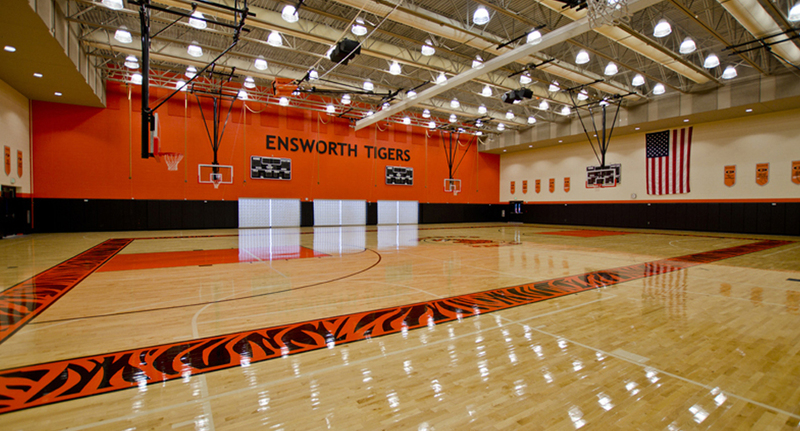 All of our hardwood courts are customizable in order to meet all physical education and visual needs. 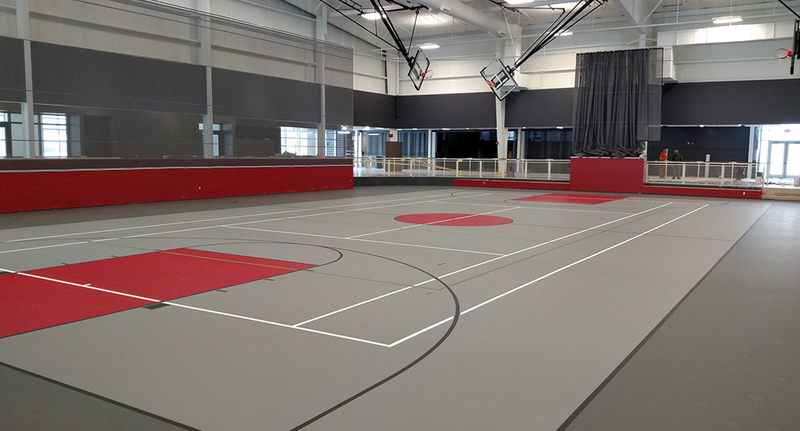 As a leader in sports facility outfitters, Play On Courts boasts comprehensive experience. We offer multiple options for multi-purpose synthetic flooring and our experts can help you choose the right surface for your space and activity requirements. 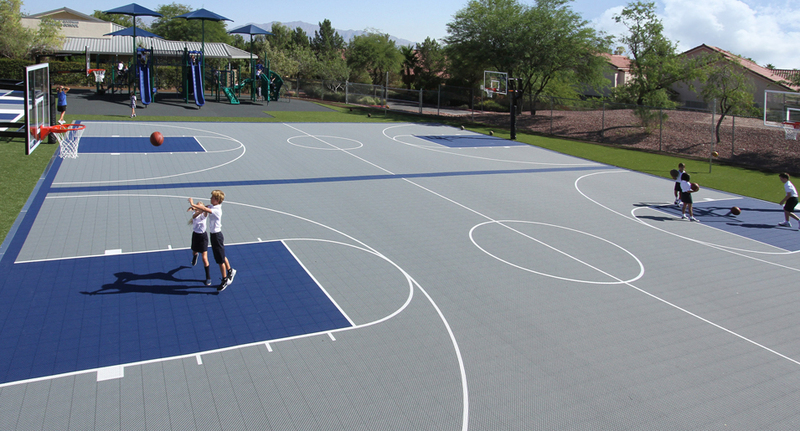 All of our synthetic courts are customizable in order to meet all physical education and visual needs. 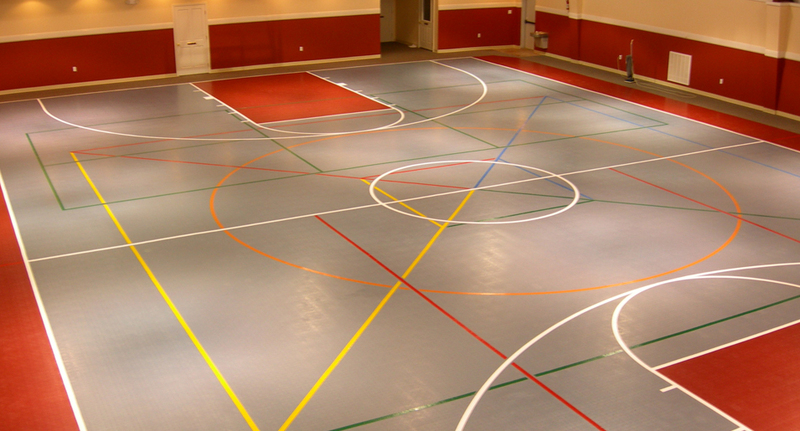 VersaCourt indoor court tile provides students with a safe, durable low-maintenance gym flooring solution. With our precision interlocking system, the title fits together securely and offers a natural flex to protect students’ backs, knees and joints during play. 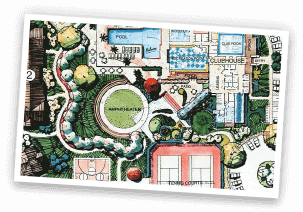 Play On Courts offers a wide selection of accessories to outfit your recreational space. 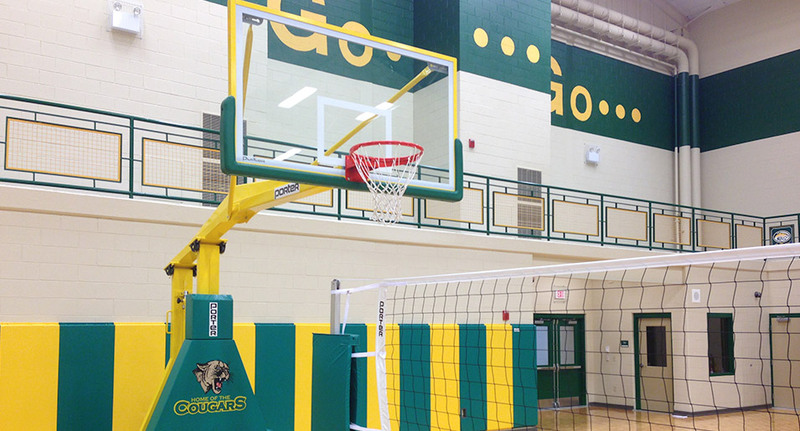 From basketball goals, net systems, bleachers and wall pads, Play On Courts will outfit your grade school with top-of-the-line athletic equipment that will meet all of your activity requirements.